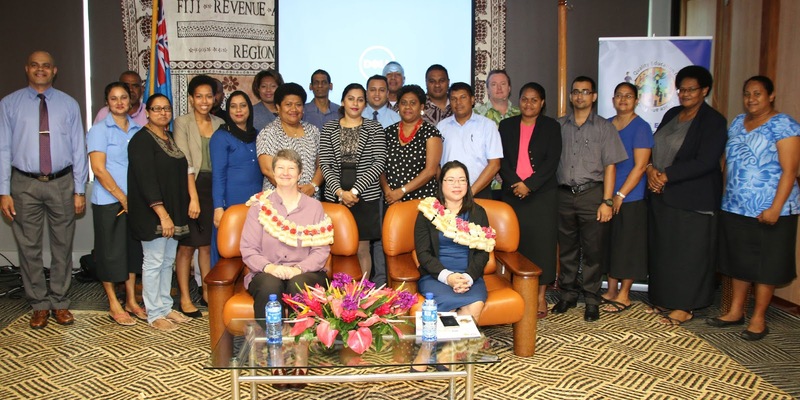 The Colombo Plan Staff College, in cooperation with the Ministry of Education, Heritage and Arts (MEHA), successfully conducted the In-Country Program on Quality Assurance System through Results-Based Monitoring and Evaluation Management Systems for TVET Institutions and Educational System at the Regional Training Centre – Revenue and Customs Complex in Suva, Fiji from September 24-28, 2018. 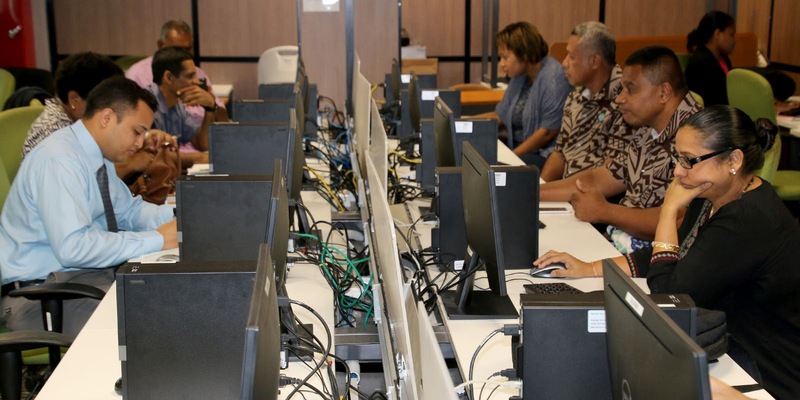 The program was able to tap the participation of 25 staff members from the Technical College of Fiji (TCF) and MEHA-Technology and Employment Skills Training (TEST), as well as heads of government schools around the country. The in-country program dealt with a discussion and analysis of quality assurance in an educational system through the use of results-based monitoring and evaluation. This approach was adopted to determine the relevance and fulfillment of objectives, development efficiency, effectiveness, impact, and sustainability. For five days, the participants were able to design and implement new or improved sustainable M&E system as essential part of the Results-Based Management (RBM) for an enterprise, in general, or a TVET institution (institute, college, center, school, etc.) in particular. The lessons that they learned in the program will be useful for their future plans to set up an effective monitoring system as part of the quality assured programs. They were also able to recognize that M&E is an integral part of the education system programs and discussed how a Results-Based Monitoring & Evaluation (RBM&E) System increases accountability and transparency, as well as enhance the effectiveness TVET institution management. They were also given the opportunity to explain how to conduct stakeholder and organizational analysis and identify key success areas and performance indicators for their TVET institutions’ projects. Lastly, they were asked to prepare monitoring and evaluation plans to guide them in the implementation. The program was coordinated by Ms. Therese Tan Lee (CPSC Faculty Specialist) and was supervised by Dr. Ramhari Lamichhane (CPSC Director General) and Ms. Alison Burchell (Permanent Secretary of the Ministry of Education, Heritage, and Arts). Local arrangements were facilitated by Ms. Rina Roshni Chand (Senior Education Officer, Technical College of Fiji, Ministry of Education, Heritage and Arts) and additional academic resources were provided by Mr. Eci Naisele (Monitoring and Evaluation Officer, MFAT Project, Fiji Higher Education Commission). 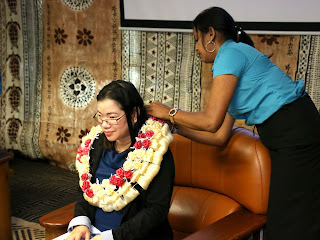 Ms. Therese Lee, the program coordinator, receiving the traditional garland from the Fijian organizers The opening ceremony of the program was marked with the presentation of garlands to mark the tradition of welcoming guests. In their speeches, both Ms. Lee and Ms. Burchell cited the importance of establishing an RBM&E System to evaluate the outcomes and impact of the planned and implemented TVET Programs. To supplement the classroom lectures, the participants also visited some of the notable industries and learning institutions around Fiji such as the Australia-Pacific Technical College, Fiji Campus and the Kookai Factory- all located in Suva. They were oriented with the monitoring tools that these entities used in the hopes of providing them some relevant information regarding the subject. 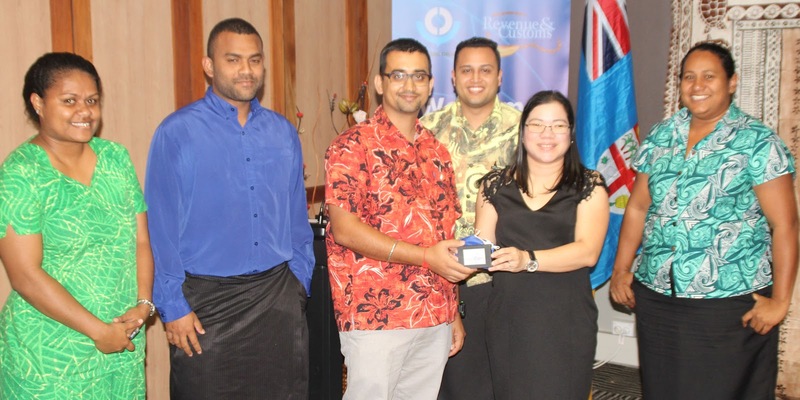 The program ended on a positive note as the participants cited its timeliness and relevance in addressing some of the pressing issues of TVET implementation in Fiji. The participants registering to the OnCourse- the online knowledge management portal of CPSC. Ms. Therese lee presenting some tokens to the group that acquired the highest training score.